Please do use your common sense when reading these pages, and remember that they are here for entertainment as much as anything else. 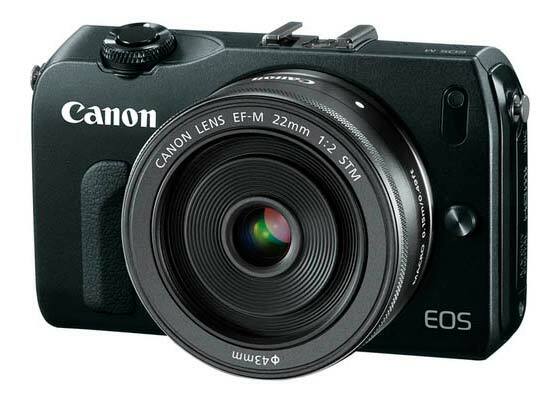 EOS-M/M2 – EOS-M3 and EOS-M5 have their own information pages. 27th Compact Canon 18-70 f2.8/6 lens patent [Google xlt] – another try at the APS-C compact market? 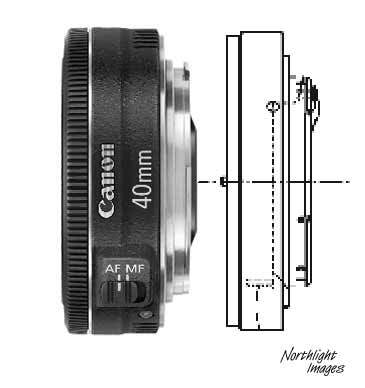 The patent actually includes a 50/1.2 design for a DSLR (40mm backfocus [BF] distance) and a mirrorless one. Right – symmetrical 50/2 design. 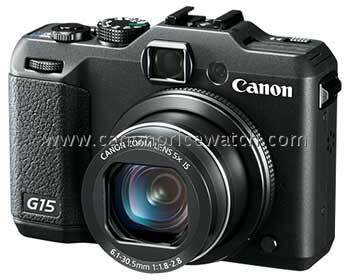 19th Assorted rumours put the next Canon mirrorless body for a launch early next year. We’re told [thanks] to expect it to feature the new APS-C sensor slated for the APS-C line, maybe before it even appears in the 700D. No mention of other features, although at CR a viewfinder is mooted. Body only, (18.5mm ,10-30mm VR) is available, double zoom kit (10-30mm VR ,10-100mm VR) is a standard zoom lens kit (10-30mm VR), double lens kit. 18th Feeling that a NEX7 just won’t cut it with your rich friends on their yachts? 35/2 fixed lens? Not a focal length I’d splash out $2800 on. 30th Sony decides to make its next NEX5R [DPR] even more like a phone, by adding ‘app’ capabilities [DPR]. 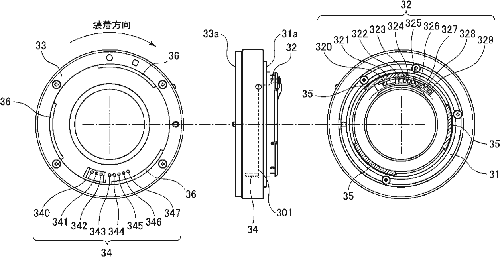 Expect to see this new wheel widely re-invented over the next few years, such as Samsung’s Galaxy phone camera [DPR]. For some reason I’m reminded of the classic Japanese HiFi systems of the 70’s and 80’s – more and more buttons/dials/features, but this time in software. 11th Musings on the new M10 for photokina (24MP CMOS and an external EVF option) [SH], but don’t expect to see one until next Spring. 9th Nikon J2 launched – a warmed over version of the more basic J1 model. Now available in orange! 3rd Two Sony camera models NEX-5R and NEX-6 ‘confirmed’ by Indonesian regulatory authority. Listed due to needing WiFi approval. 25th A Hasselblad press invite for photokina, that some are suggesting may see a big sensor mirrorless announcement. 24th We’re told the EOS M is firmly aimed at the ‘enthusiast’ market, and we’re told that a higher end model won’t be along this year. 22nd 24th July is suggested for the Canon ‘mirrorless’ [CR] although we’ve had a suggestion that it may more likely be early August. 24th The rumour tea leaves have been stirred recently with such suggestions as Canon going ‘four thirds’ with its forthcoming mirrorless offering. I’d note though that the 650D has been expected for quite some time. We’ve heard that it will be keeping the 7D2 company at photokina, but still no details of either. 14th Canon related rumours have gone quiet on this. One suggestion was that Canon was waiting a while longer to see how the G1-X goes down, we were told to expect some hefty price drops later this year if it doesn’t shift well at the current price point. 20th How about this for a Canon 18-45mm F3.5-5.6 zoom for the forthcoming Canon ‘mirrorless’? 11th This Dalsa 24MP chip for the M10? 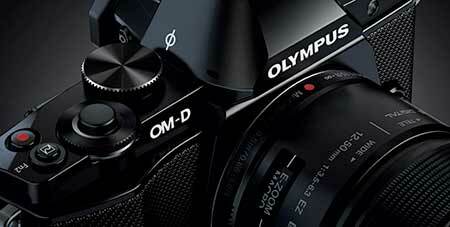 4th Pictures of the Olympus OM-D E-M5 start to appear  – announcement on Wednesday. 2nd The Pentax K-01 mirrorless is announced – lots of links at 1k1 16Mp APS-C and a 40mm pancake lens. 10th Some Fuji X Pro-1 info. It’s available from late February, priced at £699/€799 RRP incl. VAT. 8th A new translation has kindly been posted on this item’s G+ thread Thanks Mark! “Canon has been forced to change their plan for 2011 because of the earthquake on the 11th March 2011 in Japan and floods in Thailand, but they are going to be back to the normal operation in 2012. Summary of interview with Masaya Maeda, Managing Director and Chief Executive of the Image Communication Products Operation at Canon Inc. He stated that they are planning to release mirrorless compact system cameras in 2012. 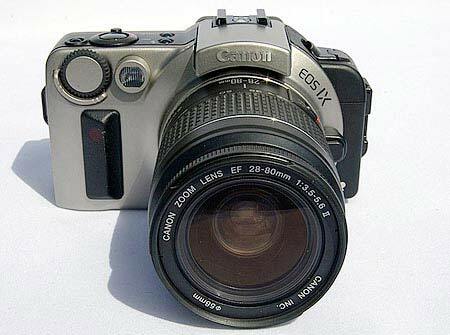 -Try to develop a compact camera which features high image quality. -Trying to make cameras smaller and more compact, mirrorless system could be the key. 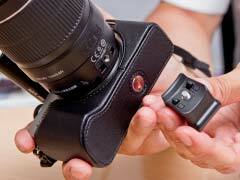 -Miniaturization of cameras is the top priority, which means the cameras may have a different mount to the EF mount. -For mirrorless cameras, being able to change lenses is certainly a big merit, however, the ratio of use of interchangeable lenses is very low. We have to think on how we can make users use interchangeable lenses more, that is very critical. We have to look into the whole system as well as miniaturization. -All DSLRs featuring EF mount would be getting smaller and smaller with high image quality. For interchangeable lenses, we are going to stick to EF mount. -EF lenses are being developed and extended this will include shooting movies. The compatibility of the new system and the EF system is very important. -As a premise of the new mount for mirrorless system, “the image sensor will be larger than the regular standard size” would be necessary. 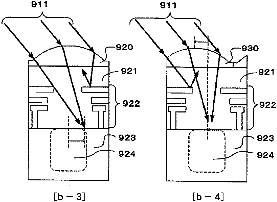 -The quality of image sensor will be improving. Having said that, in time downsizing the sensor is coming in the future. – C300 contains various ideas of camera systems including new mounts. C300 was made from a lot of feedback from people in the movie industry, a good example is C gamma. 7th Canon does intend to launch a mirrorless camera in 2012. DC Watch has a Canon interview [DCW, Google xlt] – Better translation anyone? The emphasis is on quality of image, not size. Not going the Nikon V1/J1 route. Lenses need to be small and EF compatibility is important. 25th An interesting Leica interview [MP]. Optical viewfinders, mirrorless and the S2 all get a mention in what’s a far more revealing interview than the anodyne stuff that normally passes for interviews. 14th In from left field – is next week’s Canon announcement a full frame ‘mirrorless’? 1/10″ 1.60 1.28 0.96 1.23 ?? As expected, the launch has met a mixed reception, Nikon is a big advertiser, so don’t expect too much criticism from some of the big review sites. As ever, I find that Thom Hogan sums up nicely some of the benefits and pitfalls of the new Nikon system, whilst pointing out that a vocal segment of Nikon fans were never going to be satified. Just FYI – we’ve not had a plausible ‘mirrorless’ rumour mentioning Canon for quite some time. 28th Whilst Nikon UK might downplay ‘mirrorless’, there is a Nikon event on the 21st [NR] – ‘Nikon white’ …whatever that means. 26th Are the recent Nikon mirrorless system rumours a big hoax? 29th Leica talk about some of their ‘mirrorless’ plans [TR] . Midway between X1 and M9? 22nd The original Xitec post has been pulled, lending some credence to this really being Nikon’s first foray into ‘Mirrorless’. 21st A sneak view of Nikon’s tiny sensor mirrorless design? 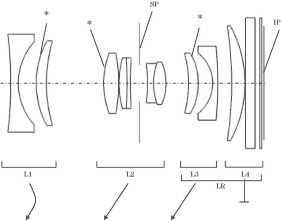 A ‘smart’ lens adapter patent from Canon, with a variable aperture stop to cut down on scattered light [CR] Of course it could be for using EF lenses on a video camera. 5th I see that Canon have also been chatting with Reuters [RT]. “We are considering the technical aspects”…when asked about the mirrorless segment. If nothing else, such a holding statement may convince a few waverers not to jump to any of the current crop of ‘mirrorless’ cameras. I note also the Canon attricbuted comments we had back in mid-June below. 13th In a comment that I’m not sure makes a Canon mirrorless more or less likely, we hear (thanks) of a Canon rep in Europe saying that if you want a top end ‘mirrorless’ then go and buy an M9, and that Canon do not see themselves in that market segment. When asked about other mirrorless, they just said that the 1100D was not as small as they could go. 6th A suggestion that a Nikon ‘mirrorless’ camera will come in at 2.6x crop and with 3 lens options [NR]. If true, then it looks as if they are aiming at the compact market rather than a more image quality oriented approach with a bigger sensor [NR]. In the article (Google xlt) it’s suggested as a new solution for making adapters rather than to any specific mount. Well, actually they only say they will if they want to, and only when/if they see the need. 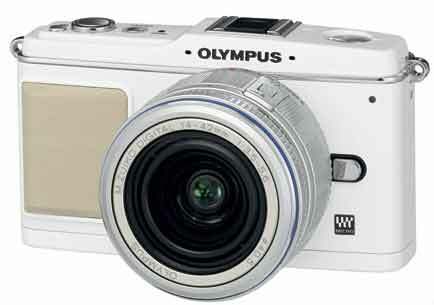 “The Olympus representatives predict that ‘In 5-10 years reflex cameras will be a niche or will not be there at all’ “. 19th Floods of roadmaps [PR, XR] and lens releases in the mirrorless market, but we hear nothing of note about Canon or Nikon. 2nd Leica lenses for your compact? In a move that shows some interesting thinking, Ricoh announce an add on body unit for the Ricoh GXR that will tame Leica ‘M’ mount lenses [DPR]. I can’t imagine anyone at Canon or Nikon ever being allowed to run with a product idea like this. I really hope it works, even if just to show that true innovation is not quite dead in the ‘features=features+1’ world of big camera makers. 30th Would you buy a Nikon rangefinder/mirrorless style camera with a D3S sensor in it? Thom Hogan asked the question [TH 27th] and got a hefty positive response – indeed, if Canon had nothing to match it (i.e. where I could potentially use my EF lenses more easily with an adapter) then I’d seriously look at it. Would you be interested… If Canon took the 5D2 sensor and made a small, light mirrorless camera from it along with a handful of new small primes? 20th One we missed from November [PR]. Once again it’s interesting to see the news angled to a more ‘pro’ market. 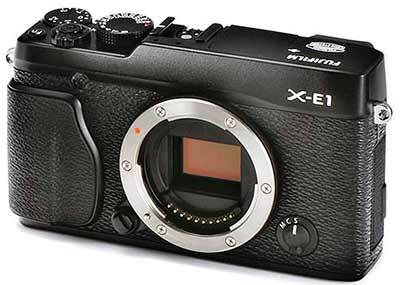 14th The Fuji X100 system is getting talked up, after Fuji release (some) more info [Fuji] – looks like part of a lengthy campaign to build ‘brand image’. Features like the film filters effect (velvia, provia, astia) and ‘Raw’ button show a lot of marketing input to the design as well. Let’s hope it’s good for taking photos too. 9th We’ve had several comments about a new Canon EIS system – however it seems like a multiple re-hash of the info below from Sept. 13th. Thanks though, to people taking the trouble to let me know! 5th In what, if true, suggests that a Canon ‘mirrorless’ is still some time off but on its way, we hear (thanks) of a change in some of Canon’s internal camera designations to include a 3rd category — compact, slr and mirrorless. It was emphasised that this was just a new internal category and had no products in it or release timeline at the moment. We’ve had previous comments that suggested that Canon would like to make a similar whole new ‘system’ such as when EOS was announced in 1987. Whilst reasonable – I do wonder to what extent such info comes out as Canon’s version of the Nikon comments below (14th). 14th OK, you’re a big camera company that doesn’t have your own ‘mirrorless’ offering, what do you do? 14th Along with our latest ‘no 1Ds4 for photokina’ comment, was the observation that yesterday’s EiS rumour was totally false and that Canon’s ‘rangefinder type format’ would be very different. 19th Assorted point ‘n’ click cameras appear from Canon [S95, IXUS1000, sx130 IS] and the specs for the G12 appear briefly at CNET, but are pulled. Hybrid IS, 10MP, Tilt screen, 720P video, ‘HDR’ mode, Manual modes, 28mm widest, 5x zoom. “Competitors have made high-quality cameras more compact by removing the mirror that enables the user to look at the actual scene through a viewfinder, creating a new market segment that is popular in Japan and which analysts say may grow rapidly. True insight, or just spoiler tactics to wrong foot the competition? Bring on the 3D rumours …although I suspect that the mention of ‘consumer need’ suggests competition to the other compacts. – More APS-H usage allows more of the APS-H development costs to be recouped. Unfortunately, no lens/techy info, but camera due relatively soon (Photokina?). 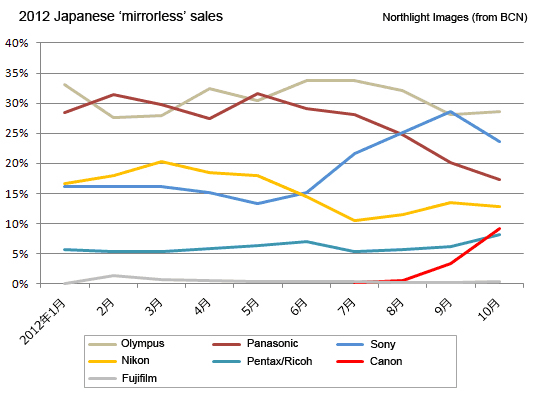 In news that won’t go unnoticed at Canon, I see that that Sony have made the top 5 sales list for DSLR/’System’ cameras last week, with the NEX-5 [SAR]. I note that there is an optional viewfinder, for those of us who are slightly long sighted and find using a screen on the back to compose shots a right pain (yet alone in bright light). A new lens mount is introduced, whilst an adapter for existing A mount lenses only offers manual focus. 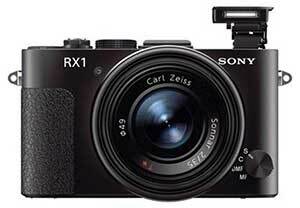 Sony indicated that it is aiming these cameras at compact camera users who wish to upgrade, rather than trying to offer a second camera for existing DSLR users. What to come from Canon? 26th Sony EVIL for May 11th? SAR. The Sony NEX3 and 5? 7th A good review of the Samsung NX10 at DPR. The APS-C sensor and the new lens mount with a 25.5mm flange to back distance show what could come, when Canon/Nikon decide to dip their toes in the water. 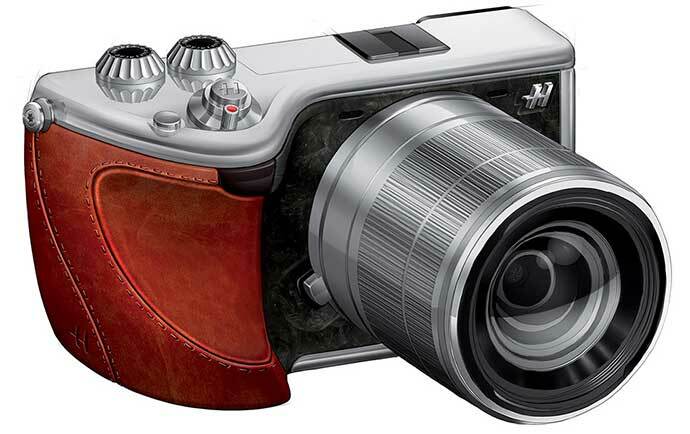 1st As widely expected, the rangefinder rumour was an April 1st jape. 31st As expected, much interest (and muttering into beards) in RF land ;-) [RF] – Suggestions even that Epson might even bring out a follow up to the venerable R-D1 [LL] and last year’s R-D1xG. The JA blog [JA] has been updated – with a mention of what would seem perfectly good features, such as smart framing lines and customisable processing. 30th I see that Jeff Ascough (a ‘Canon Ambassador’) has tweeted that he is testing (under NDA) a new rangefinder camera from an undisclosed manufacturer. Hardly a big surprise – this one was very widely picked up, and after running through the rumour recycling system a few times has appeared in several different guises. 4th In news that I’m sure won’t be ignored at Canon, it seems that in the UK, micro four thirds cameras made up over 10% of interchangeable lens camera sales (by volume) in December 2009 [DPR]. Given that they made up over 11% of sales in Japan last year, I’d suggest it’s when, not if we see such cameras from Canon/Nikon. 21st At PMA, Sony come out with what they will be offering (at some time) in the compact APS-C range [DPR] [DCR]. If Sony are doing this, then expect the Canon response eventually. 27th I notice that Thom Hogan has updated his 2010 predictions and suspects that Canon will be last to the EVIL club. He posits Nikon’s entry to this area as pre-Photokina. 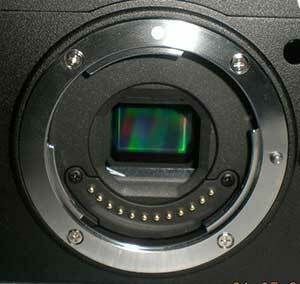 “It’ll be based on the APS-C sensor, apparently same sensor as the 7D, but with a reduced Image Circle, 18mm. 3 New lenses. Zoom Kit EF-X 12-36mm, 36-166mm and 15mm f2.4 Pancake. There will be an adapter to use EF and EF-S lenses. I’ve updated our standard guide to reading rumour threads. Said to be a ‘follow on’ from the 1970s G-III. I’d perhaps prefer something looking a bit ‘sharper’ like the Canon ‘P’ below. 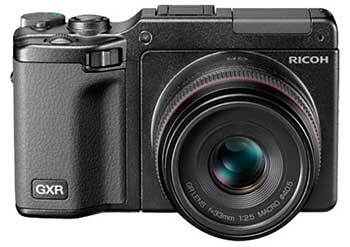 11th Ricoh announce a genuinely different approach to small compact cameras. The GXR features not just an interchangeable lens, but the whole lens/sensor assembly. I’ve used the Ricoh GX100 and 200 in the past and they were rather nice to use. 9th Are Canon about to resurect the ‘Pro’ line? Some five years after the Powershot Pro1 [DPR] we’ve had a suggestion that there will be a Pro2. We’ve no other info on this, but I must admit to not following developments in this type of camera that closely. Not yet APS-C though – we had several emails saying how nice the Canon P below looked, and that Canon could clean up with an APS-C digital version. 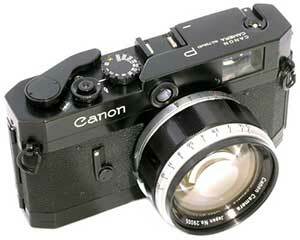 As to the chances of Canon bringing in an all new camera with a real optical viewfinder … I’m not holding my breath. 9th With Leica announcing the X1 compact, could this be time to see Canon bring out their answer to micro four thirds? …and will it have a ‘direct print button’? 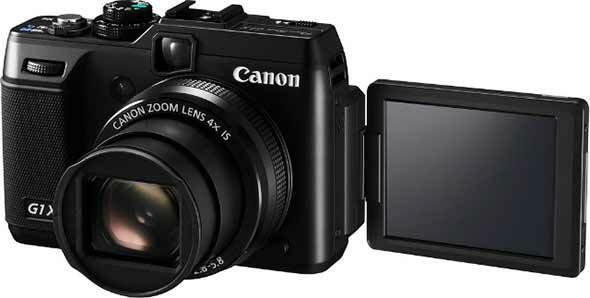 “United Kingdom / Republic of Ireland, 19 August 2009: Today Canon announces the PowerShot S90 – marking the return of the Canon PowerShot S-series. The PowerShot S90 continues the PowerShot S-series tradition with impressive, fully manual features that deliver excellent image quality and user experience, including: Canon’s Dual Anti-Noise System with an f/2.0 wide-angle lens, a 3.0 inch PureColor II LCD display and an intuitive new lens Control Ring. The PowerShot S90 features Canon’s Dual Anti-Noise System, combining a high sensitivity 10.0 Megapixel image sensor with Canon’s enhanced DIGIC 4 image processor. Photographers can capture full resolution images – even in tricky lighting conditions – with the Dual Anti-Noise System taking maximum advantage of the available light, while substantially reducing image noise. This is particularly useful in low-light portrait and landscape photography, where users are able to shoot high-quality full resolution images even at ISO 3200. DIGIC 4 also includes an enhanced version of i-Contrast: Canon’s Intelligent Contrast Correction technology, which delivers a wider dynamic range to reduce high-light blowout while retaining low-light detail. Canon has fitted the PowerShot S90 with a wide aperture f/2.0 wide-angle lens to help photographers take full advantage of the Dual Anti-Noise System. The f/2.0 wide-angle lens allows twice as much light into the camera as an f/2.8 lens, enabling photographers to use faster shutter speeds to reduce blur or achieve a shallower depth of field. The camera also includes Canon’s optical Image Stabiliser (IS) technology, which uses a lens-shift system to minimise camera shake and image blur – effectively giving photographers a 4-stop advantage over less capable cameras. To help users capture the perfect shot, the PowerShot S90 includes a 3.0 inch LCD display, which features Canon’s PureColor II LCD technology. It enables users to frame and review images easily thanks to an exceptionally wide viewing angle, 461k dot resolution and great colour rendition. As befits a camera of this calibre, the PowerShot S90 features a wide range of powerful manual and automatic controls that give photographers creative freedom. The PowerShot S90 features an intuitive lens Control Ring, which enables users to adjust the settings of various functions by twisting the selector at the base of the lens barrel to the left or right. The Control Ring can be used as a quasi-manual zoom offering a closer view of subjects in 28mm, 35mm, 50mm, 85mm and 105mm steps. Additional settings can be assigned, such as ISO (in 1/3 stop increments), shutter, aperture, focus and exposure compensation – giving photographers a satisfyingly tactile experience. The Control Ring also helps enhance user interaction with the camera by offering fast, accurate scrolling through menus, functions and images. In new Nostalgic Mode the Control Ring can also be used to add an aged effect to the shot, from a subtle faded look to full grainy black and white. For more creative control, users can also choose from a variety of Scene Modes (SCN on the Control dial) that enable them to choose the best settings for particular shooting situations – ideal for creative effects or when shooting in difficult lighting. A new Low Light mode can help users capture reduced resolution 2.5 Megapixel images in very dim light at ISO speeds of up to ISO 12800 and at a fast 2.4 frames per second. Aperture priority AE, Shutter priority AE, Program AE, Manual and Custom modes. Choosing and using different camera settings is now even easier thanks to an improved menu navigation system, which includes ‘Hints & Tips’ on most settings and features. The PowerShot S90 allows fine custom adjustment of the camera’s white balance settings – enabling compensation of different kinds of tungsten, fluorescent and other light conditions for perfect results every time. Scene Detection Technology. This selects the scene type from 22 variables, applying the best settings for optimum output – a great asset to those who love to point-and-shoot without worrying about the technical details. Smart Auto now measures movement of objects or people in a scene, activating Servo AF/AE to ensure that the focus and exposure are locked onto a subject. In addition, the PowerShot S90 offers RAW format shooting and support for Canon’s Digital Photo Professional (DPP) software, making it easy to integrate the camera into a user’s digital workflow. Users will also find it easy to share images captured on the camera with family and friends, thanks to an HDMI mini port, which enables the camera to be connected to a compatible TV using an optional cable. July 7th A comment [thanks] that Canon are definitely not interested in any of the current smaller formats for interchangeable lens cameras. x1.6 crop is the minimum. 22nd Lots of noise still on the Canon forums over this. It’s worth noting a comment from Canon in an interview [DPR] after Photokina 2008. “Q All the buzz at this year’s Photokina has been around the concept of the ‘mirrorless’ interchangeable lens camera following the launch of Micro Four Thirds. Is this an area Canon is interested in? There are some newer comments from Olymous about the compact interchangeable lens market in another DPRinterview. 17th A new page, since we’ve had several comments recently suggesting that Canon will be launching a compact camera with an APS-C sensor and interchangeable lens. Nothing I’d rate too highly at the moment, but the interest suggests there might well be a market for such a camera. 2009 June 16th Olympus announce the E-P1 ‘digital Pen’. An interchangeable lens camera with an image-stabilized 12 megapixel sensor 4/3 format. Widely rumoured and leaked it’s raised interest in high quality interchangeable lens compact cameras.